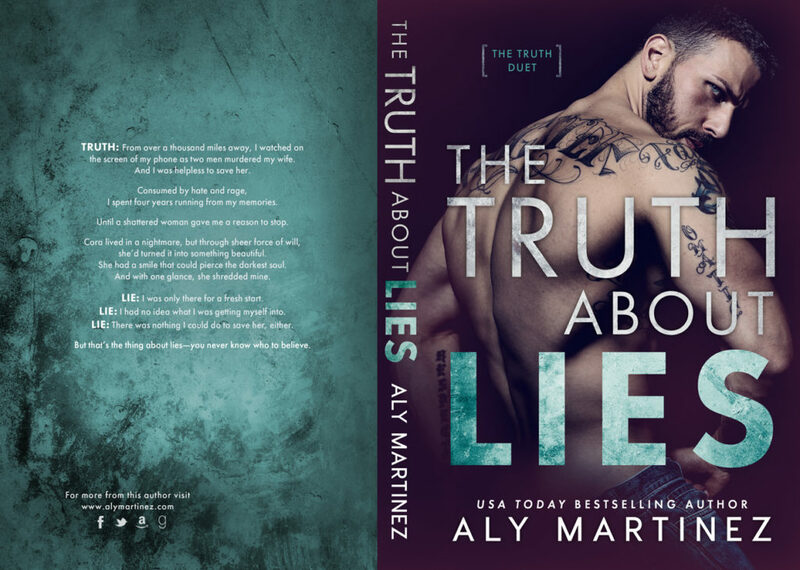 Today we are sharing the incredible cover for the first book in The Truth Duet by Aly Martinez. Check it out below, along with the blurb for the title. 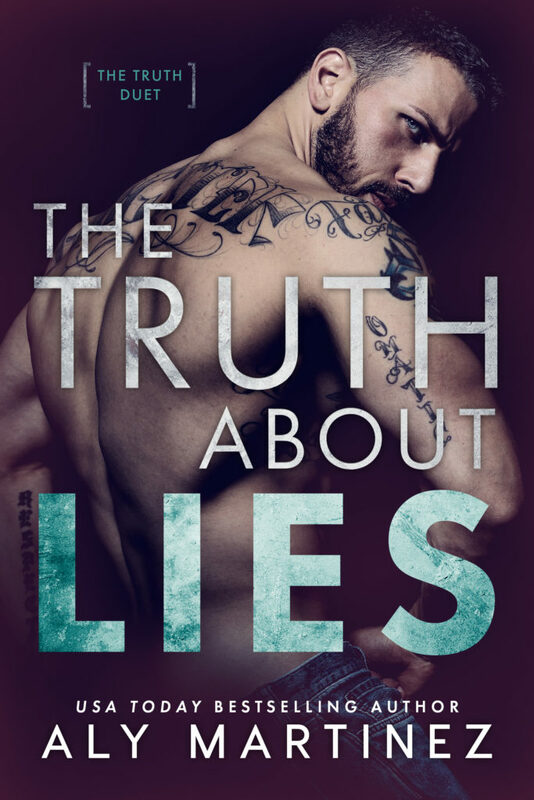 The Truth About Lies will be releasing on August 23rd! The second title in the duet, The Truth About Us, will be releasing on September 13th! Be sure to follow Aly's newsletter to be notified when the books are live. Truth: From over a thousand miles away, I watched on the screen of my phone as two men murdered my wife. And I was helpless to save her. Consumed by hate and rage, I spent four years running from my memories. Until a shattered woman gave me a reason to stop. Cora lived in a nightmare, but through sheer force of will, she’d turned it into something beautiful. She had a smile that could pierce the darkest soul. And with one glance, she shredded mine. Lie: I was only there for a fresh start. Lie: I had no idea what I was getting myself into. Lie: There was nothing I could do to save her, either. You won't want to miss this amazing series! Click here to get the links as soon as they're live, and to hear about giveaways and events for this duet.